Home » Blogs, News and Events » How Do Early Payments Work? One of the key benefits to doing business on the Taulia portal is the option to take early payments. Rather than waiting the full term, your typical 30, 45, or even 90 days, you have the option to receive those funds immediately. You’re familiar with this scenario: your customer submits a PO, you supply the service or product, you generate an invoice, you get paid. The element that’s not reflected in that scenario is the amount of time this all typically takes. The moment your customer initiates the transaction to the day you get paid could range anywhere from 40 to 120 days or more! Early payments with Taulia are simple: Once your customer approves your invoice in the portal, it is eligible to be paid immediately. 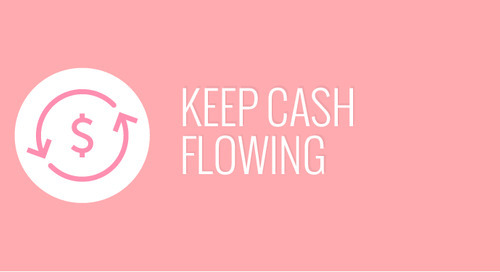 By taking the early payment you’re agreeing to receive an amount that is slightly less than what you are owed. The percentage varies from customer to customer and is variable in that it’s dependent on how early you take the payment. If you’re curious about the varying rates, visit the portal and view any of your early payment offers. Selecting the “My Offers” button results in a pop-up clearly outlining all the terms to the early payment, you aren’t actually agreeing to anything until you click the final “Submit” button on the pop-up. 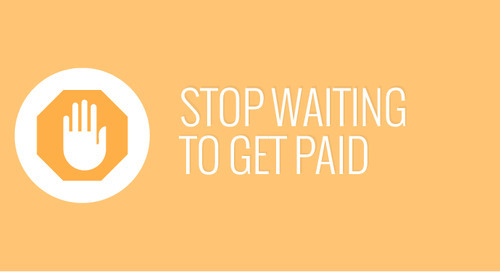 It may sound like nonsense to receive your money sooner at a lesser amount when you can just wait and get paid in full. But consider the time factor once again.  The benefit to shortening this process is that you have immediate access to capital that can be used toward current expenses like overhead costs, accounts payable, or payroll. Imagine you have a $30,000 invoice outstanding with one of your largest customers on 60 day payment terms. From the moment your product or services are rendered, you are short that amount. Within those 60 days payroll or rent may be due, unexpected expenses can pop up, or a new opportunity with a larger customer could arise. All these scenarios require additional capital that you may not have. Taking the $30,000 now less a few hundred dollars doesn’t sound too bad, does it? Of course, you can also explore other financing options available to you: a line of credit, small business loan, or a credit card. But these options usually include a credit approval process and hoops to jump through, tacking on more time when your need for capital is immediate. Early payments are always available to you, no hoops involved and no worrying about paying funds back after the fact. When Ceiling Pro decided to take on a new client they didn’t expect it to be such a large investment and found themselves amid a cash flow gap. Payments weren’t coming in and overhead costs needed to be paid. Taking early payments provided them with the fast funds they needed and ultimately saved their business when they faced a potential shutdown. 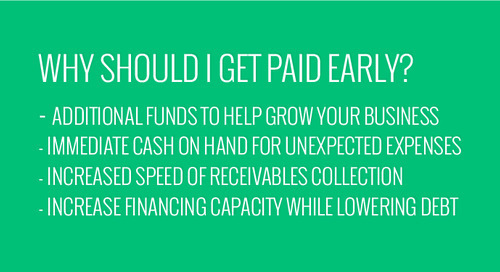 In business, the saying often goes “time is money” and in the case of your receivables, this holds extremely true. 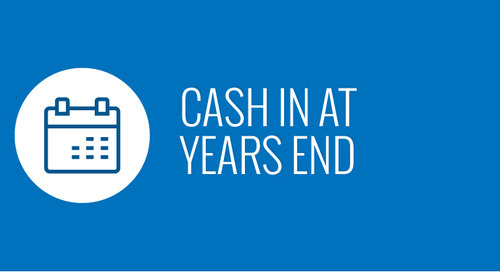 If you face a cash shortage, use time to your advantage and take an early payment. Learn how to quickly and easily submit the right type of invoice!